Hot Water in Seconds to any Faucet Or Shower! Stop waiting for hot water! with the right pump you can have hot water in seconds to any Shower or Sink in your Home. With this type of pump, the average family can save 15,000 gallons of water per year. New technology ends the need for expensive return lines run to your water heater. 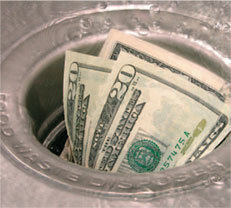 The average American household wastes 15,000 - 20,000 gallons of water annualy waiting for hot water. Water down the drain is money down the drain. The comfort pump can pay for itself within 2 yrs. Saving 15,000 gallons of water a year has a significant impact on our enviroment. Water is our most precious natural resource. You pay for the water to be heated. Wasting less hot water uses less energy. It takes energy to deliver the water to your home. Saving water also saves energy and reduces the amount of pollution put into the Atmosphere. We have pumps that work on traditional tank style water heaters and pumps that work on tankless water heaters. Different houses have different needs. Call us for in an in home consultation today, and don't forget to go to our coupon page. We will send you a coupon for $50.00 off your pump. We install the comfort pump on top of your water heater. Next we install a thermostatic valve under the sink in the room where you want hot water in seconds. Next we plug in the pump. 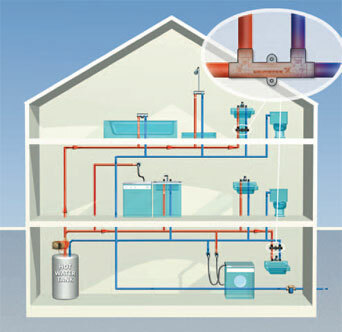 the pump creates a slightly higher pressure on the hot water line. Whenever the temperature at the thermostatic valve drops below 90 degrees fahrenheit the valve opens, sending hot water to the faucet and cold water back to the water heater. The pump has a built in timer so it can be set to be on only when you need it. Additional thermostatic valves can be added under any sinks where you want Hot water without waiting. Get yours Today! Call 877-54-plumber to schedule an appointment. How Does it Work for Tankless Heaters? The metlund pump is the only pump that will work for tankless water heaters without affecting the warranty on the tankless water heater. it works on basically the same principals as the comfort pump but with a few key differences that make it more suitable for tankless applications. The unit is more effective at saving money and energy because it only turns on when you need hot water. It can be set up with a motion detector so that whenever you are in a room that needs hot water the pump turns on and brings just enough hot water to the room to get things started but then shuts off immediateley without wasting energy, water, and most importantly your time. Want to save Money on your DWP Bill? With a LADWP submeter, you can save money on your water bill. Without the submeter you pay more for your sewer charge on your bill. Basically, without the submeter any water you use outside your home on watering the lawn, filling your pool, washing your car etc. you end up paying for sewer charge on this water even though that water never enters the sewer. 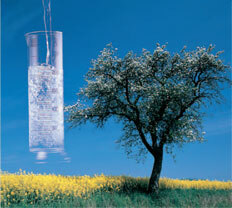 With a submeter we can seperate the water used in your home from the water used outside your home. To find out more, click here.